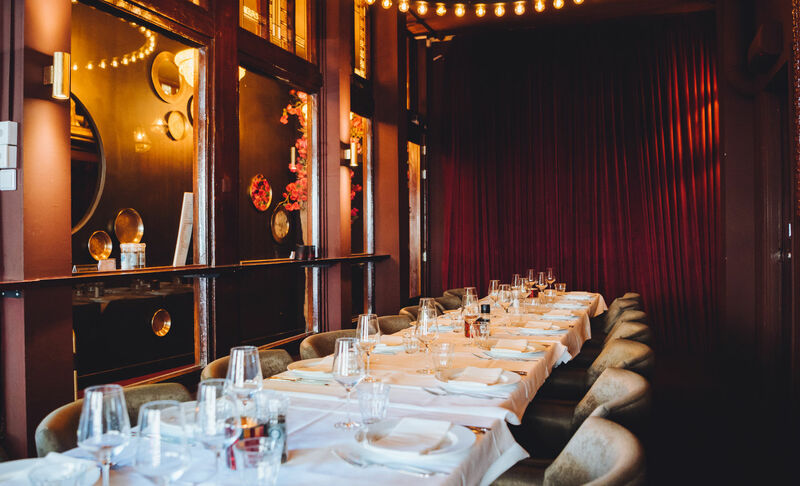 Are you looking for an ideal location for your group dinner in Amsterdam? Don’t look any further. Cinema Paradiso offers various possibilities for a group dinner. A company party, a business dinner, a wedding party or a cosy get-together with family or friends? Whatever the occasion for your group dinner, our traditional Italian restaurant in the centre of the cosy Jordaan is the ideal location for it. We are eager to prepare a beautiful table in our cosy restaurant, where we can receive groups of up to 120 persons. Private dining is also among the possibilities, in our private room where we can receive groups of 8 to 24 persons. Do you have a specific table setting in mind or is it a themed group dinner? We are happy to think along with you. Our professional and experienced employees relieve you of all your worries while planning a wonderful dinner with business relations or a company outing. Take a look at the group menus that we have put together to give you an unforgettable culinary evening. Of course we can also take special wishes and allergies into account. No matter your specific wishes, one thing is certain: you and your group will enjoy tasty authentic Italian dishes in an atmospheric and spacious restaurant. Curious about the possibilities for a group dinner? We would gladly make an appointment with you, so we can talk about your wishes.